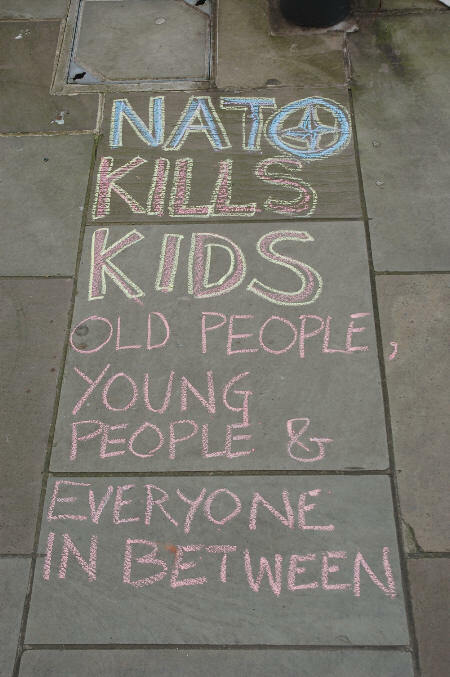 Thursday 4 September was the first day of the NATO summit in Newport. 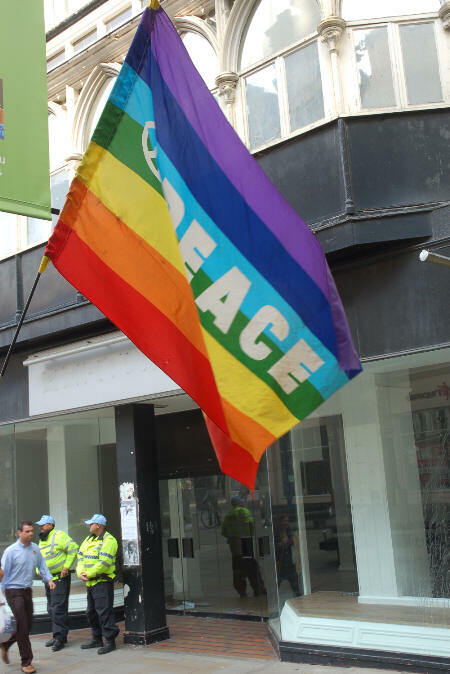 See also our blog posts Saturday and Sunday’s actions and Wednesday’s Wednesday’s crime report. 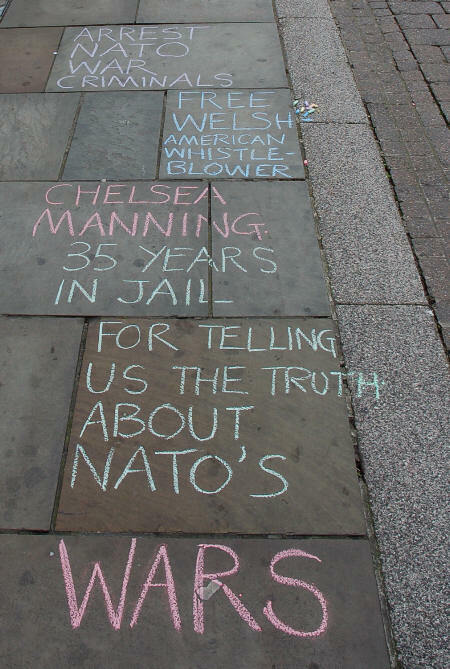 Having joined the first part of the march on Celtic Manor, we headed back into Newport city centre to have a presence for Chelsea Manning on the street with banners, chalking, flyers and postcards. 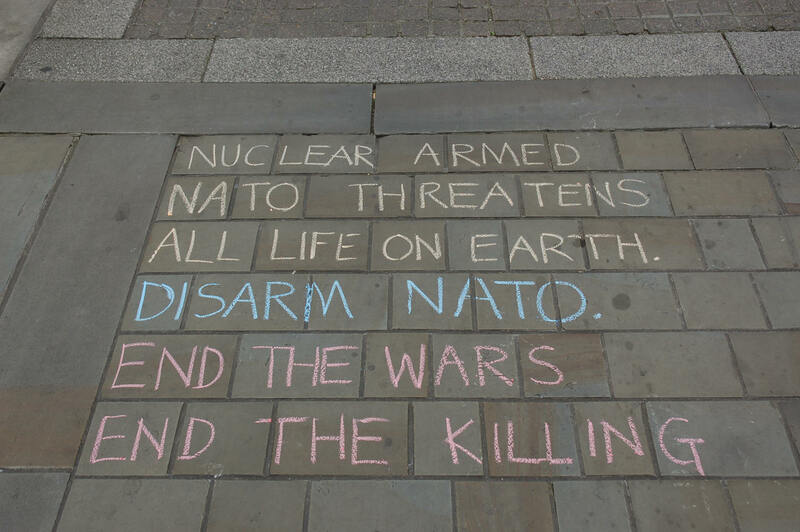 We were joined by a chalking protest against the arms industry and set up just along the street from a chalking poet from Swindon (link to pictures to follow). 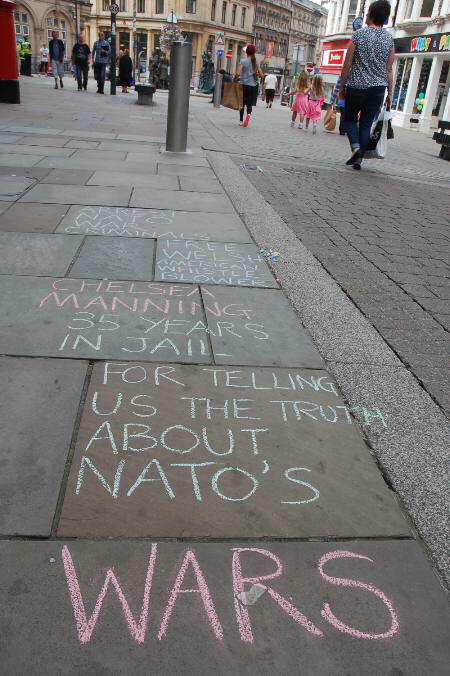 Gallery | This entry was posted in Manning, Reports and tagged anti-militarism, Chelsea Manning, NATO summit, Newport, protest, solidarity, Wales. Bookmark the permalink.